Bentley launched the Bentayga SUV in 2015. LONDON -- Bentley will launch a plug-in hybrid version of its Bentayga SUV at the Geneva auto show in March, the automaker said. The Bentayga Hybrid will be the ultraluxury brand's first electrified vehicle and marks the beginning of a rollout of plug-in hybrid versions of its entire range, as promised a year ago. The hybrid drivetrain is expected to be similar to that of the Porsche Panamera E-Hybrid, which mates a 2.9-liter V-6 with a 136hp electric motor for a combined power output of 462 hp. The Porsche can travel up to 48 km (30 miles) on electric power alone. 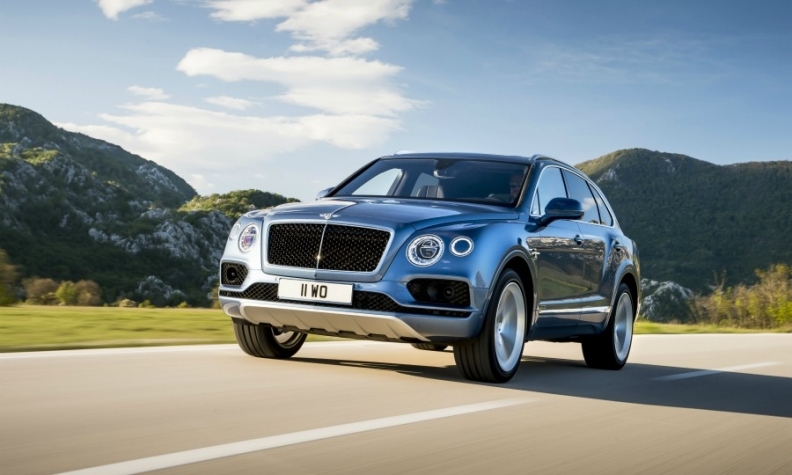 Bentley has gradually increased the engine choice for the Bentayga since the car's launch in late 2015 with a single 12-cylinder gasoline option. A V-8 diesel model debuted at the beginning of last year and the Volkswagen Group brand will launch a turbocharged V-8 gasoline model in January. The plug-in hybrid model goes on sale the second half of the year, Bentley said, giving U.S. customers the choice of three versions, up from the single W12 model available now. The Bentayga has become the brand's most popular model, with sales of 5,586 in 2016. Bentley hasn't released figures for 2017, but overall sales for the brand were slightly down at 7,498 in the nine months to the end of September, VW Group reported in its interim financial statement. Bentley's outgoing CEO Wolfgang Duerheimer told the Automotive News Congress in January last year that all Bentleys will have a plug-in hybrid option "in the next few years." The next model to gain the powertrain will be the new Continental GT he said, without giving a time frame.